Senior Partner McKinsey and Director MGI. 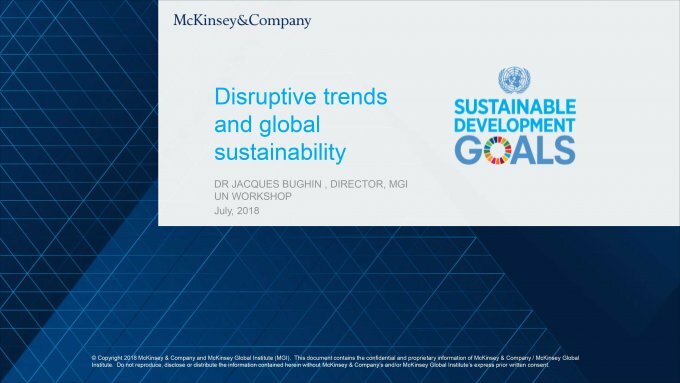 by Jacques Bughin, Senior Partner McKinsey and Director MGI. Tech disruption is arising from multiple sources- a first in history. Not only tech but other types of trends make established world less resilient. Necessary to act and track progress now in order not to deviate from SDG goals.